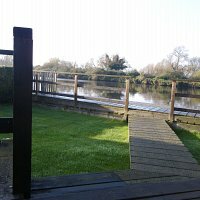 Riversedge has just become available for a week w/c 23rd August. So with the summer weather now well and truly here why not treat yourselves to an unexpected break. Simply chill, fish or enjoy the surroundings. Price for the week – £850.00 … please conatc us for further info..
With a new season just around the corner it looks like we have escaped the worst of the winter weather which has battered the rest of the country. Whilst many parts of the country had water everywhere other than where it should have been, locally it stayed in the rivers with minimal flood issues. 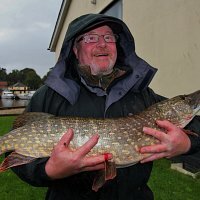 Certainly our guests have enjoyed their breaks with the fishermen amongst them being very happy with their catches. We have made use of the vacant weeks to continue enhancing the three properties. Riverview and Riversedge have had new sink/vanity units fitted in the bedroom as well as the usual makeovers. 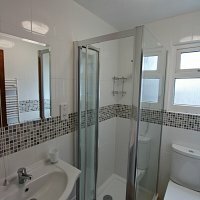 Herne Lodge now has a built in wardrobe in the main bedroom and has a completely new bathroom with walk in shower. We are sure these changes will further add to the enjoyment of visitors in the coming months. From the availability chart you will see we now have limited availability in main part of the season – so anyone considering a week away might want to give us a call sooner rather than later. This coming year and through to the bookings we already have for 2015 are the strongest we have ever experienced and find it so satisfying that so many of our guest thoroughly enjoy coming back.